When you own a commercial building, it is crucial to be able to depend on a water damage company you can trust to be there for you the moment you experience a disaster in your property. Regardless of the cause of your emergency, you deserve prompt help from the highly trained technicians at 911 Restoration of Los Angeles that guarantee to be at your property within 45 of receiving your call concerning a water emergency. The Los Angeles office is open 24/7/365, making it possible for property owners to reach out to us the moment they need commercial property damage restoration. 911 Restoration of Los Angeles provides local, same-day service backed by the Institute of Inspection Cleaning and Restoration. Along with our IICRC Certification, we are licensed, bonded, and insured so you can be assured that you are protected sufficiently. The staff knows how important it is to mitigate commercial property damage immediately, especially when water damage or sewage is involved. Property owners can trust that the repair techs can handle any disaster they are facing. So, call 911 Restoration of Los Angeles if you are dealing with sewage overflow, indoor flooding, mold, or even fire damage, and the technicians will turn your disaster into a Fresh Start today! A leak or flooding situation in your commercial property can quickly turn into a mold infestation if the damage is left unmitigated for as little as 24 hours. 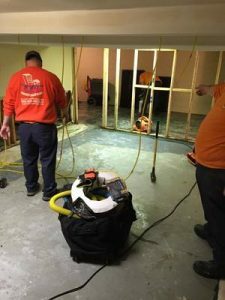 When water soaks into your floors, and drywall mold can grow inside of the porous material and can go unnoticed for quite some time if you do not know the signs. 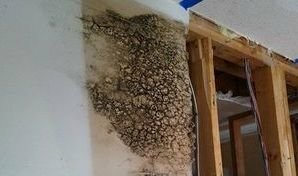 Since mold typically grows in areas of the property that are not in plain sight, such as inside drywall, attics, air ducts, sink cabinets, and crawlspaces, you may have to rely on other signs to determine that you have mold. Mold has a distinct smell that can heavily permeate the room that it is growing within, so if you begin to notice a musty odor whenever you enter any area of your property, chances are mold is growing. As well as creating a foul smell, mold can also impact your health. Mold spores can affect indoor air quality, causing you to experience allergy symptoms and breathing problems. If you notice that you only have allergies when you are inside your building, then that can be attributed to a mold problem. Fortunately, if you are unsure about the situation, we provide property owners with free visual inspections, so you don’t have to take on any financial risk. The repair techs will address both the mold and any water damage on the premises because both of these issues usually go hand-in-hand. So, call 911 Restoration of Los Angeles when you need commercial property damage services, and we will give you the peace of mind you deserve. Buildings and businesses throughout Los Angeles can be impacted by a sewage backup at any time, especially if you own an older property. While no one wants to find raw sewage in their property, you do have options for handling sewage cleanup quickly. 911 Restoration of Los Angeles employs trustworthy technicians who are trained to clean up sewage, repair water damage, and completely remove any trace of sewage odor. Sewage created by a pipe burst emergency can hide behind walls or under floorboards, where it can ruin wood and provide dangerous bacteria with a place to breed. The repair techs use specialized infrared scanners to detect moisture from sewage wherever it might be hiding in your property. 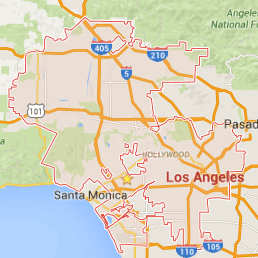 Your health and safety are the primary concern of 911 Restoration of Los Angeles after a sewage backup. You might be instructed to steer clear of the area while technicians administer the sewage cleanup. It is highly recommended that you do not attempt to clean up sewage without the proper equipment to protect your wellbeing. Our team is armed with professional grade protective equipment to deal with dangerous pathogens. Once all the sewage is removed, and all moisture has been extracted, the experts will decontaminate and deodorize the area using special cleaning agents. They will also assist in removing belongings that have been salvaged from the sewage spill and safely dispose of damaged items. Call 911 Restoration of Los Angeles to receive the skilled help you need to fully recover your building from an emergency, and we will provide commercial property damage restoration today!